We finally finished painting the foyer. 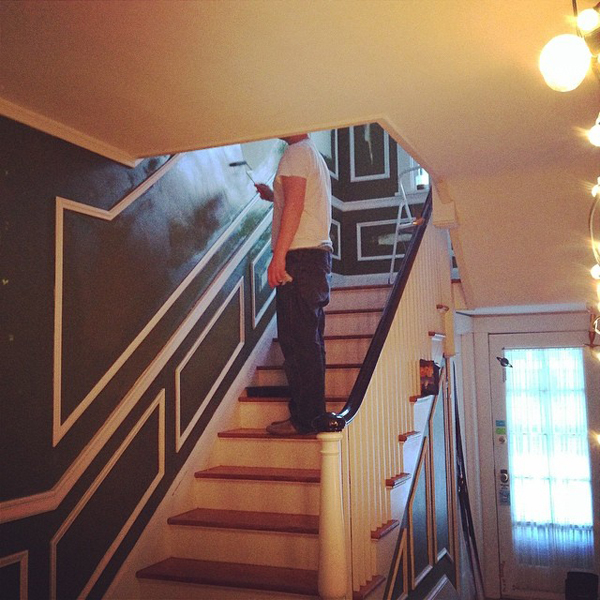 We only had the stairwell to paint, but look at all that picture frame molding. It was an intimidating amount of cutting in. I love this green. It was a color match from a Starbuck's travel mug! 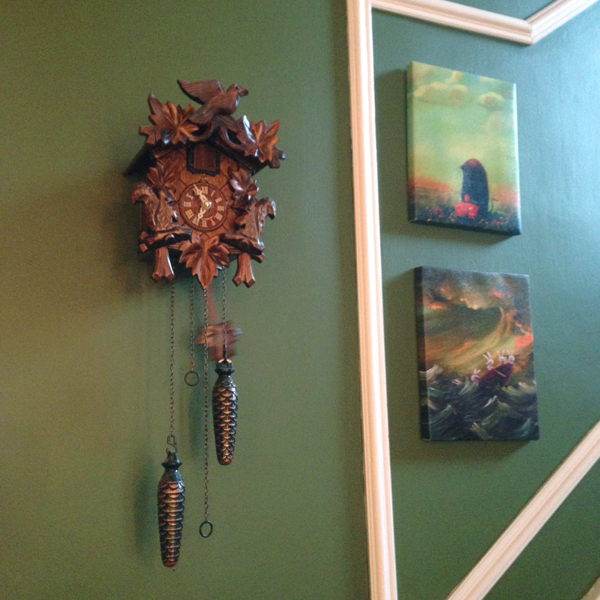 My cuckoo clock and all my prints and paintings look so nice on it. Next up... finishing the kitchen then the dining room.